What do you really get for your Amazon Prime Subscription? When I first heard that Clarkson, May, and Hammond are all going to be appearing in a new motoring show available on Amazon Prime, my first thought was that there is no way I am going to pay for an Amazon Prime subscription just to watch one show. Still, I did love the old Top Gear, so I set out to see how much is Amazon Prime and to find the answer to the question; Is Amazon Prime worth it? Here’s what I found out. To get all the benefits of Amazon Prime in the UK, it will cost you £79 per year. In the US, it is currently $99. So, is Amazon Prime worth it, if you just want to watch Jeremy Clarkson’s new show? Sorry, Clarkson, Hammond, and May, as much as I found Top Gear extremely entertaining, you alone are not worth the Amazon Prime subscription of £79! However, delve a little bit deeper into what you get with Amazon Prime and this starts making a little bit more sense. Here are the facts to help you decide if Amazon Prime is worth it. You get a lot more than I had realised! Basically, if you watch movies and TV, stream music, and buy products from Amazon, then Amazon Prime will definitely worth you taking a look at, because the package bundles together a number of different services for that annual subscription of £79. As well as Jeremy Clarkson and Co, you will get: free delivery on most Amazon Products, Prime Video, Prime Music, Kindle Lending Library, 30-minute early access to Lightning Deals, and unlimited photo storage on Prime Photos too. Let’s take a look at the delivery deal and see of that makes Amazon Prime worth it. When you subscribe to the service, you get unlimited one-day delivery on nearly all the products that you buy. Typically, Amazon usually charges £5.99 for one-day delivery so, to make the delivery deal worth it on its own, you would only need to be buying 14 items in the year for you to come out on top. Prime Video gives you instant access to 15,000 movies and TV shows. If you were to subscribe to Prime Video, it would cost you £5.99 a month, or £71.88 so, if you do watch a lot of TV and movies, the Amazon Prime Subscription starts to make sense. Netflix, for example, also costs £5.99 per month, but then, you don’t get all the other benefits that start to make Amazon Prime worth it. Members of Prime can also borrow Kindle books from a catalogue of over 500,000 titles. You can ‘borrow’ one book a month at no extra cost and there is no due date for the return of the book. If you read only one book a month, then Amazon Prime would save you the price of buying the books, or the price of another subscription service, such as Scribd, which would cost you £5.50 per month. If you are a Music lover, then you also get free access to Prime Music when you sign up for Amazon Prime. If you compare Prime Music with other music streaming services, like Apple Music, Spotify and Tidal, the choice of titles is a little bit more limited with Prime Music, although there are over a million titles to choose from, and you can download songs, create playlists and listen to them when you are off-line. In terms of price, most music streaming subscriptions cost about £10 per month, so Amazon Prime, which works out at £6.58, is cheaper on this front too. Amazon Prime is a bundle of products that, when added together, could represent a huge saving to some people. 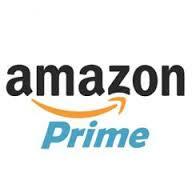 If you currently read Kindle books, stream music, pay for online movies and TV shows, and you buy products online from Amazon, then you will definitely save money by signing up for Amazon Prime. Even if you only use one or two of these services, then Amazon Prime could be worth it to you. If you are undecided about whether or not Amazon Prime will be worth it, you can always sign up for a free 30 day Amazon Prime trial. Quite honestly, it does look like that it makes sense to me. What’s more, you also get to watch Jeremey Clarkson and Co in their new Top Gear Alternative rather than having to live with Chris Evans trying his best to replace the irreplaceable!